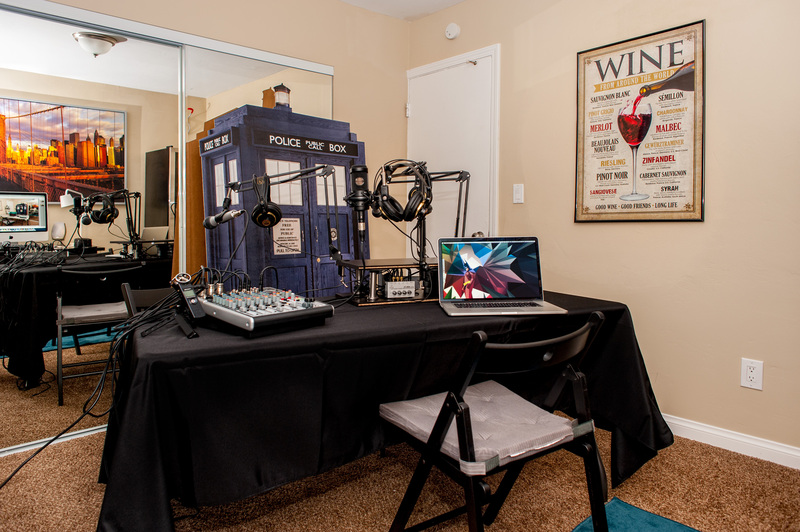 After tons of research, contemplation, internal fights over whether I was crazy or not and lots of consultation with my “production engineer” Cody I finally made my podcasting studio decisions. Even more, I acted on them. That’s the studio as it is today, Tardis and all. In fact, when I posted an earlier version of this image on Facebook, almost the only thing people could focus on was my giant Tardis in the background. No joke I had half a dozen people ask me if I had an actual Tardis in my apartment. Of course the answer was yes. Yes, I have a real Tardis in my apartment. To be honest, I’m just happy that I have so many awesomely nerdy friends who knew what a Tardis is. Whovians unite!